I felt a little witchy today. I love love love that skirt!! You styled it perfectly. I have some 1960s nightgowns that are tulle and I think a thick sweater like that would be perfect over one! very very lovely outfit! that skirt is awesome!! 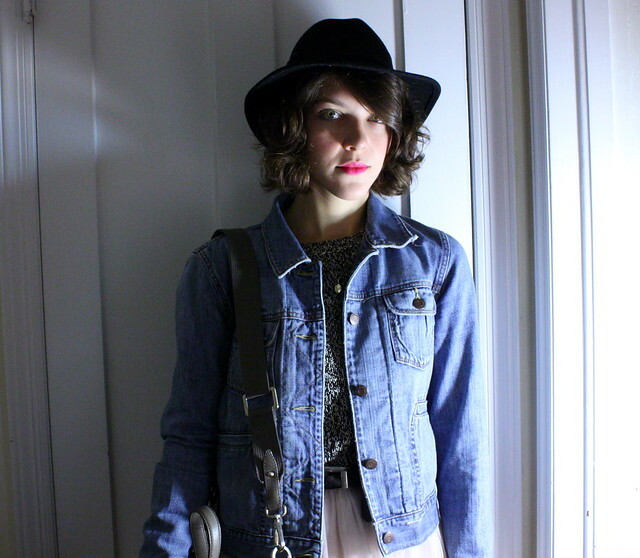 and i love how fall this outfit looks!! oh my god, Kallie- I love this! I am totally stealing this outfit. Super cute! Your hat is adorable. Really like the mix of feminine and masculine in this outfit. This is perfection! <3 I love The Kills, too. You have amazing taste in music as well as style! I love that flowy skirt! It looks so great with the booties and grey sweater. You look great! :D I love your sweater! you look dazzling!!! i love the hat and the pretty tutu! 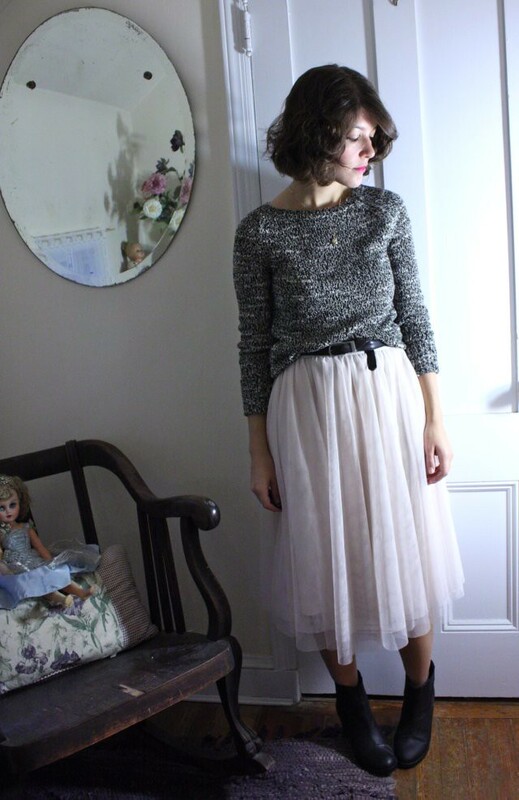 that delicate skirt with the heavy sweater looks so perfect together. You look gorgeous and not witchy at all, but very serene. I want your skirt, badly! You inspire me to dress up and to wear exactly what I want to wear. I just really love that skirt!! It's lovely! You look too cool for school. 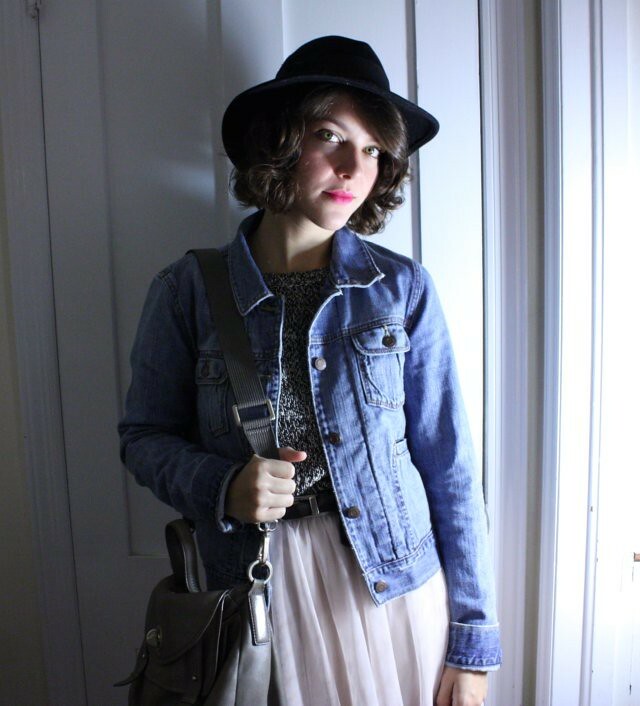 This outfit is so perfectly styled! I really love the sweater. Makes me regret not buying the similar one I saw at Forever21. That last comment was from me. Forgot I was using work email. Oops! If I could have lips like yours, my world would be perfect. You lucky girl! 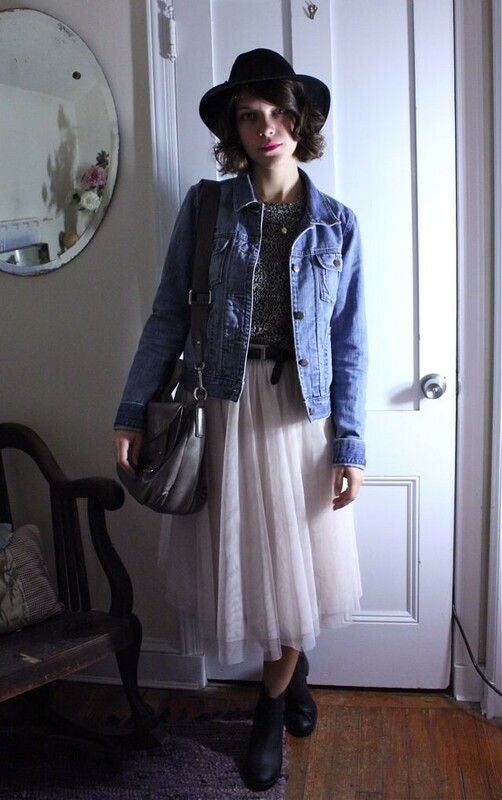 This is such a lovely look - that skirt is too pretty! I love this outfit, the skirt is really pretty and you styled it perfectly, the sweater is really nice too. Your hair is gorgeous, I'm having hair envy now! this is so good! way to style that skirt- i wouldnt have known how to do it! Nice pairing for the tutu skirt!!! So cute! There is something witchery about this, now when you point it out. Not too sure why though. The hat matched with the shoes perhaps. Oh, and I mainly wanted to stop by to point out what an adorable haircut you've got! You look so pretty in that flowy tutu skirt! 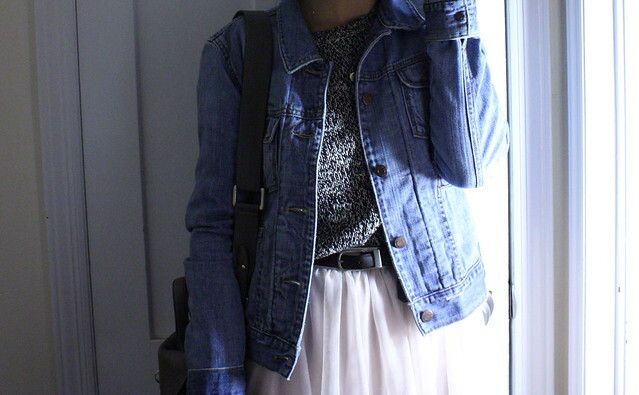 I love the denim jacket you paired with it.